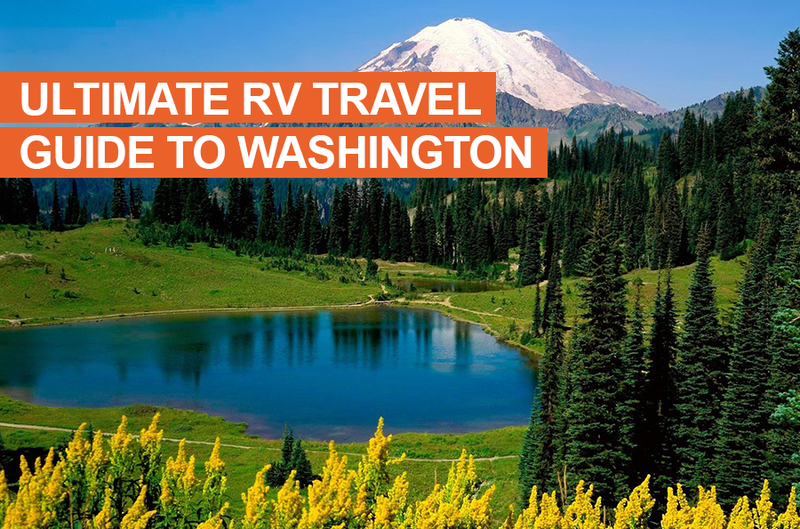 There’s no better vehicle for long road trips than the RV, and there’s no better country for RV road trips than the United States. 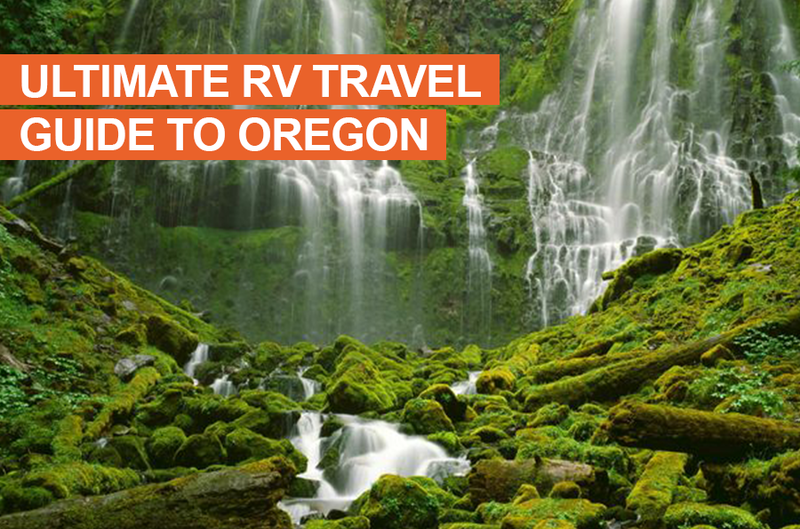 There’s a virtually infinite amount of RV trips you could plan across the US. 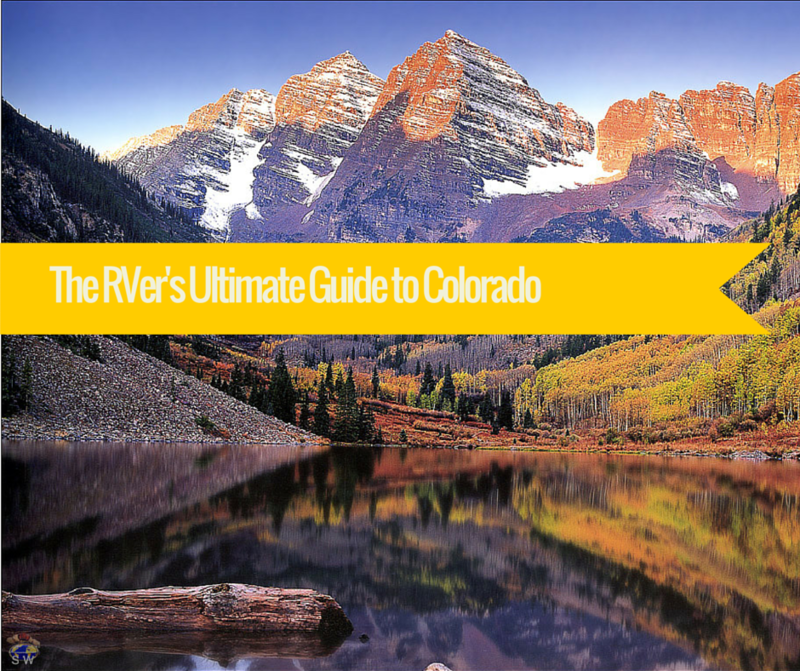 It would take a hundred pages to give a comprehensive guide to RV trip planning in the US. 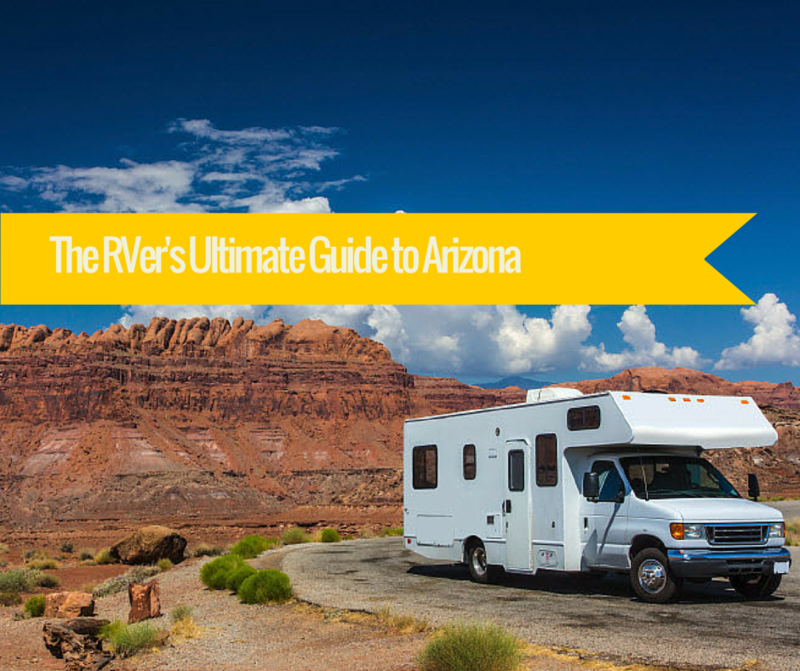 This guide is the best RV trip planner for the top five US states for road trips in an RV. We’ve also gone ahead and picked our favorite route through each state. An obvious choice as the largest state in the US, Alaska offers some of the most scenic drives in the world. Even omitting its size, any small portion of this great state rivals others in terms of beauty. We should be thankful it’s so frigid up there because this is the main reason so much of Alaska remains untouched. You can drive for miles along stretches of highway without seeing another vehicle. This creates excellent opportunities for seeing wildlife, including several kinds of bears, moose, eagles, caribou, and even walruses! One of the best highways for such sightings is George Parks Highway (the locals just call it Parks Highway). 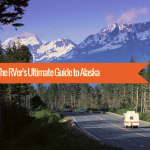 It’s also a difficult highway to avoid if you’re driving an RV in Alaska, connecting the state’s two largest cities of Anchorage and Fairbanks. Driving this route grants you gorgeous views as it leads you past Denali National Park. If you drive the entire seven-hour drive the road spans, you won’t be able to miss several breathtaking spectacles. On your right, 40 minutes into the route driving north from Anchorage, you’ll pass Eagle River Nature Center. This center acts as a gateway to Chugach Mountain Range and Chugach State Park, where you can enjoy nature walks and challenging hikes alike. Another important stop is Talkeetna, a small outpost two and a half hours from Anchorage. 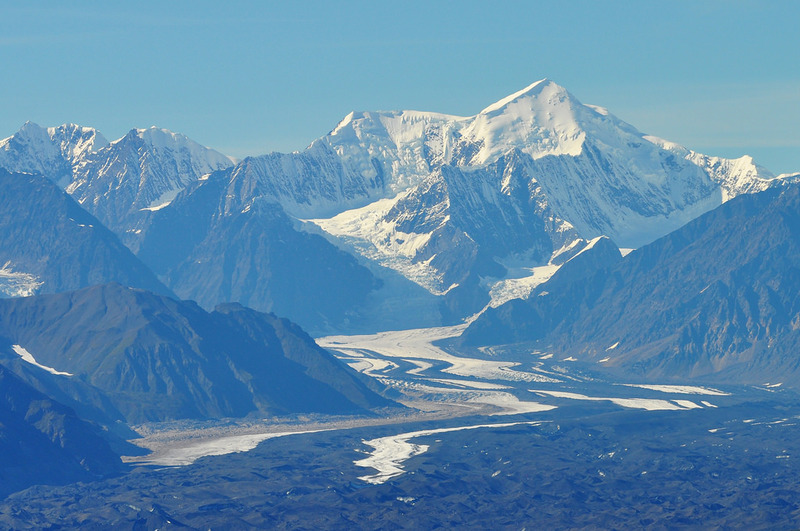 Talkeetna is basecamp for those looking to view or climb Denali (the mountain formerly known as McKinley). Its peak is over 20,000 feet in elevation. As you leave this small town, you’ll notice a change in topography and elevation as the region becomes more mountainous. The last wonder you can’t miss on your drive (both literally and figuratively) is Denali National Park. This massive park includes six million acres of land. California is a state you’re probably more familiar driving through. You may have already driven down its Redwood Highway through The Redwood National Forests. You might have already experienced the extraordinary views California’s Pacific Coast Highway has to offer as it winds its way through major cities like San Francisco, San Jose, Los Angeles, and San Diego. Let’s try to cover a route with destinations you haven’t already visited. 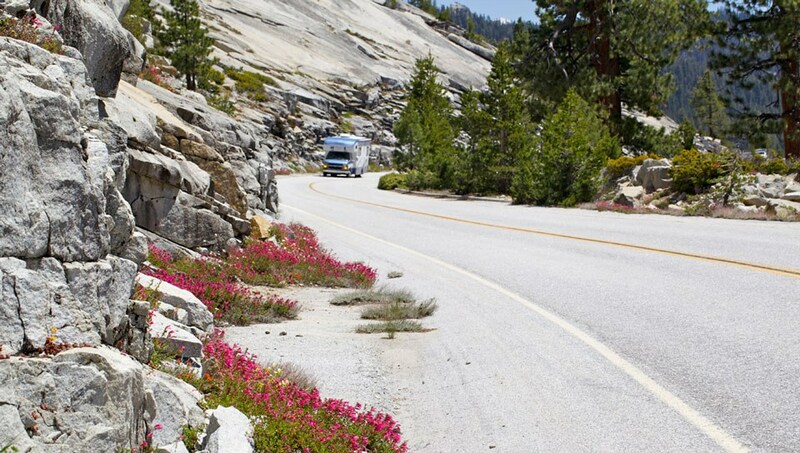 The route we’ve chosen is a portion of California State Route 120 known as Tioga Pass. If you’ve ever visited Yosemite National Park, then you may remember the name. This magnificent mountain pass serves as the park’s eastern entrance. The highest highway pass in the Sierra Nevadas and all of California, Tioga Pass is the best route for entering Yosemite in an RV during the summer. There are a number of RV parks just off the road, including Mono Vista RV Park in Lee Vining. As you tour Tioga Pass, you’ll experience a change in elevation of over 6,000 feet–from 4,000 feet in Yosemite to close to 10,000 feet as you travel over the pass. During your journey, be sure to stop at May Lake, one of the highest altitude lakes in the state. A 2.4-mile hike around the lake provides stunning panoramic views of Clouds Rest and Half Dome. Florida’s most beautiful highway may well be the famous Seven Mile Bridge through the Florida Keys. One of the longest highway bridges in the world when it was completed, the bridge offers relaxing ocean views. However, RV parks in Key West tend to be pricier, and it can be difficult to drive anything larger than 30 feet along many of the tiny island roads. For this reason, our pick for Florida’s best road trip route is instead along Florida State Road A1A. Also known as A1A Scenic and Historic Coastal Byway, this coastal drive brings you from Jacksonville, through St. Augustine, and all the way down to Daytona Beach. It links some of America’s most alluring natural beaches. 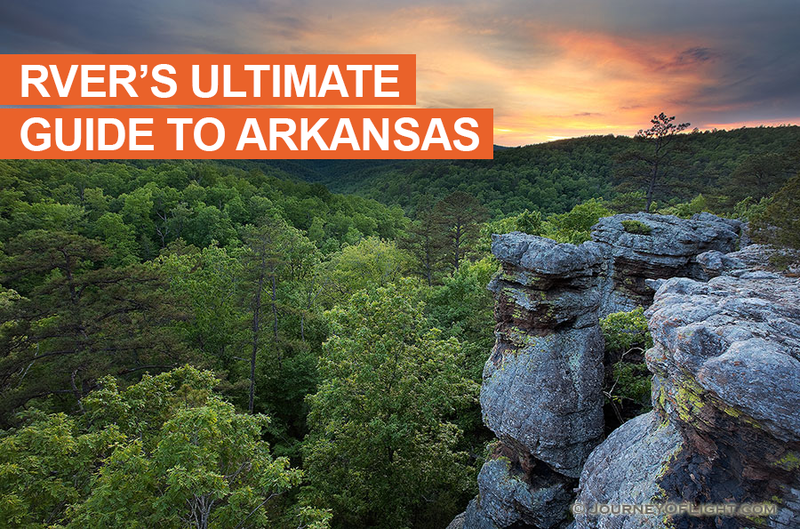 Though only 72 miles long, you can easily spend several days traveling this scenic byway. 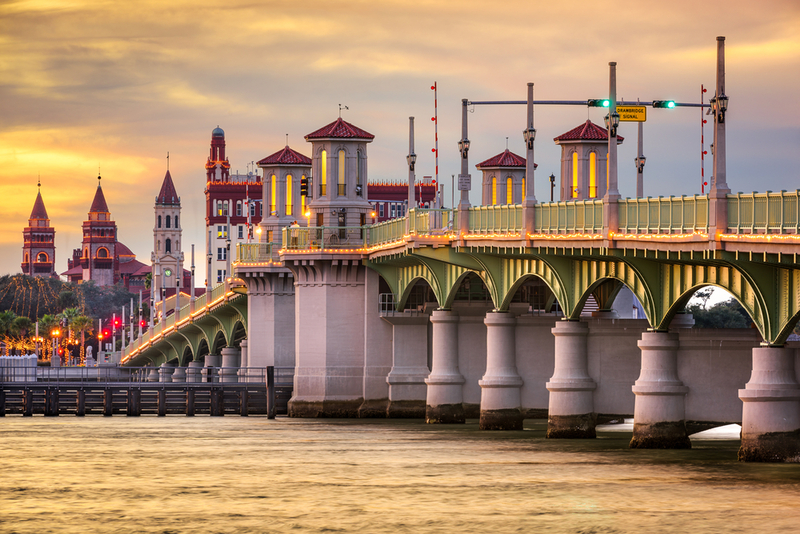 You’ll obviously want to spend some time in America’s oldest city, St. Augustine, and the home of one of NASCAR’s greatest races, Daytona Beach. Outside of these major destinations, a must visit spot is Flagler Beach. This small city is home to six miles of spacious beaches. Just outside Flagler Beach, The Gamble Rogers Memorial State Recreation Area offers every type of outdoor activity you’d expect. Canoe, kayak, and boat amongst manatees, dolphins, otters, and alligators. The park allows RV camping and has plenty of pavilions and picnic tables. For the smallest state on this list, Oregon boasts a whole host of scenic highways. It helps that much of its mainland is covered by a series of national forests, including Mount Hood, Willamette, Umpqua, and Winema. Each of these national forests is intersected by one or more scenic byways. The most beautiful of these is arguably The Volcanic Legacy Scenic Byway. This byway tours through Crater Lake National Park and around Crater Lake itself. It offers a glimpse into history, as the lake exists due to the eruption of what was Mount Mazama. Our favorite Oregon byway, however, is away from the mainland. The Pacific Coast Scenic Byway, US Highway 101, rides along the states entire coastline, from Astoria to Brookings. We choose against this famous highway in California, but its Oregon stretch is too great to pass up. Its 363 miles cover diverse biomes and provide remarkable views of the Pacific Coast and national forests. One view you’ll want to make a small side trip for is Munson Creek Falls State Natural Site. 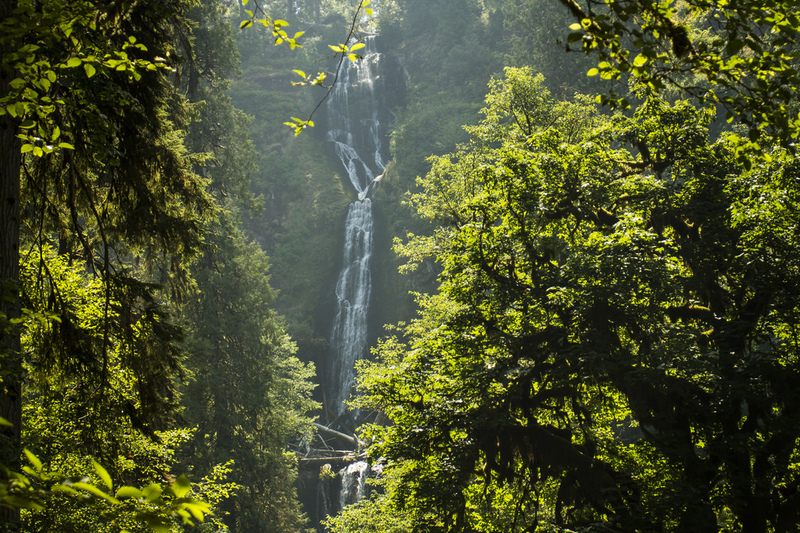 This waterfall plunges over 300 feet, making it the tallest in the state. There are so many national recreation areas, hiking trails, lighthouses, state parks, and museums along The Pacific Coast Byway, the best we can do is pick a few favorites. 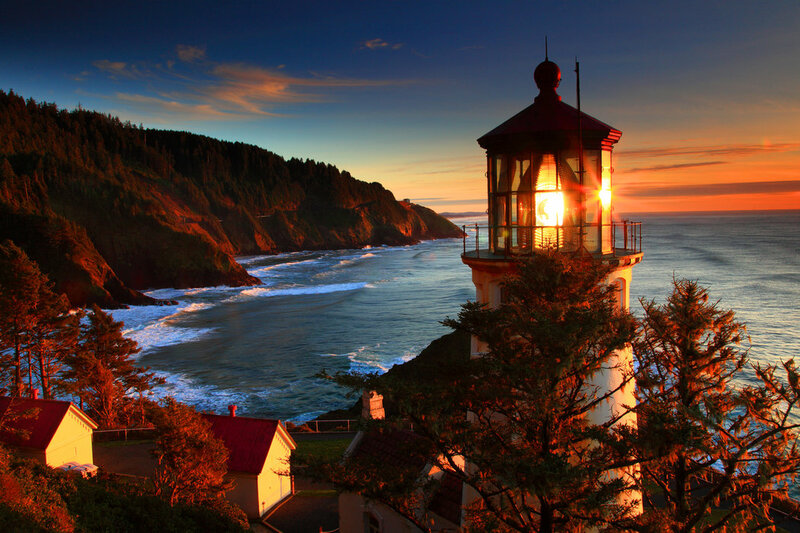 Of the 11 lighthouses on Oregon’s coast, Heceta Head Lighthouse is the most photogenic. At 56 feet tall, it’s not the tallest lighthouse. However, stands dramatically against the coastal background. So dramatically that we had to include it as a bonus picture for Oregon, because how could we not? As you continue south from Heceta Head, you’ll pass through Coos Bay on your last leg of the journey. Coos Bay is the largest harbor between Seattle and San Francisco. It’s excellent for fishing, crabbing, and clamming. Stop for an hour or two and grab a bite to eat. Then head to our final point of interest, Oregon Dunes National Recreation Area. The impressive result of millions of years of wind and rain erosion, The Oregon Dunes National Recreation Area comprises 40 miles of land off the Oregon coast. Some dunes top 500 feet above sea level. Fancy yourself a daredevil? You can rent sandboarding equipment and ATVs nearby. If you’ve ever driven through the heart of Texas, you might be wondering why it’s on this list. The largest state of the lower 48 includes a lot of fantastically boring drives. This is mostly just a consequence of the state’s size. With a lot of boring drives come plenty of breathtaking ones, too. Ever make your way down to Big Bend and you’ll know what we mean. Follow Highway US 90 until you meet US Route 385 and the city of Marathon, Texas. Just 89 miles from the border, this small town of fewer than 500 people is the gateway to Big Bend National Park. As you head south from Marathon down US Route 385, The Chisos Mountains loom over you, 8,000 feet above sea level. Texas may not be as flat as you once thought. The 45-minute drive down the park’s entrance will fly by, giving glimpses of grand rock formations. Once you enter the park, there’s no shortage of recommended scenic drives to make. We should note that shorter RVs of under 24 feet are recommended for a good chunk of Big Bend’s several hundred miles of road. This is as much due to sharp turns as to steep grades of up to 15 percent. Many of Big Bend’s most famous sights, however, can be seen from an RV. Ross Maxwell Scenic Drive features 30 miles of scenic overlooks with enough space to park. Sotol Vista Overlook offers an especially memorable view of the entire western side of the park. We’ve taken you as far north as Alaska, and as far south as the Mexican border. As far west as California and Oregon, and as far east as Florida. During our journey, we drove along some of the most famous U.S. highways, like The Pacific Coast Highway. And we saw some of the country’s greatest national parks, including Denali, Yosemite, and Big Bend. 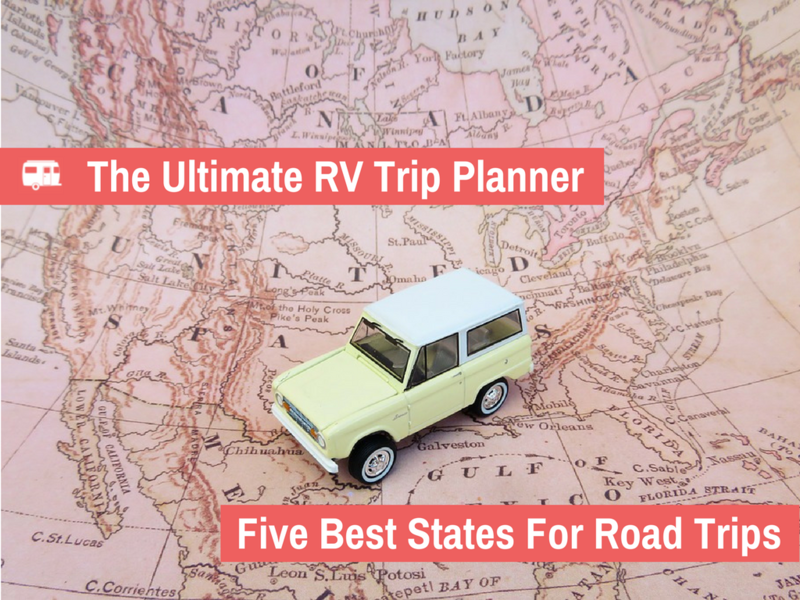 The next time you’re considering an RV trip planner for the biggest US states, look no further.